Excellent street photo. Beautiful light, both natural and artificial. Excellent leading lines. Vote. beautiful street scene,beautiful contrast between the warm light of the store and the cobbles wet by the rain! 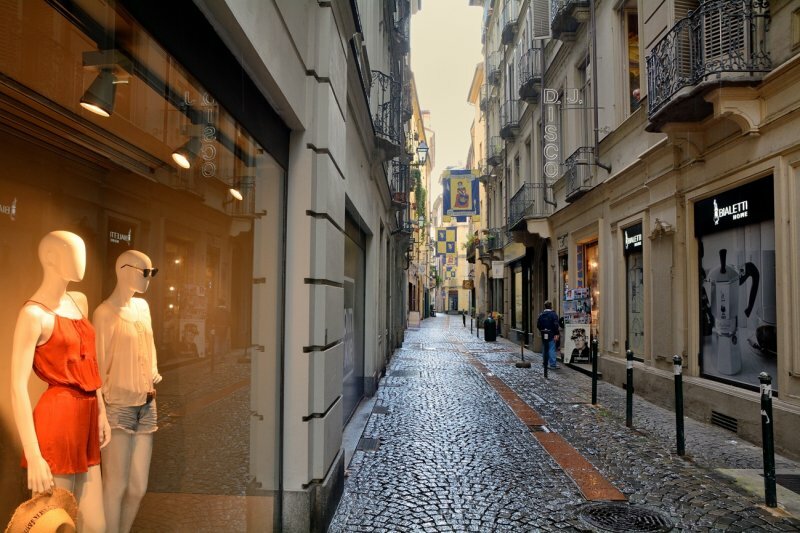 An excellent unique shot of the grey rainy street and mannequins dressed for the beach. What a great composition, especially with those mannequins watching the scene. V.
A wonderful street scene, Ton. With the inviting window to the left.BV! The use of the mannequins in the usual street scene raised this to a high level. Well done! "VVV"
very nice perspective along the narrow street.V. Wonderful shot of the narrow street and its shops. Great perspective and clarity. I like the inclusion of the warmly lit mannequins as a contrast. "V"
This is a great street scene, Ton! Cool street scene. I like your composition. The model display is dressed for better weather !